Kenton Swick was a first-year teacher. This was his planning period and there were no students about. He sat at his desk near the window staring down at the traffic below. 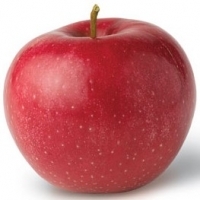 He wasn’t seeing anything … his mind was on last period when the quiet little 7th grader had come up to his desk and offered him the beautifully polished, plump red apple. He could hardly believe students still gave apples to teachers. It used to be a traditional gesture to show the student’s appreciation, back in the day. Mr. Swick was very moved … he felt he was beginning to understand the circle of life a little better. It was interesting, the impact the apple had on him. He had wanted to leave his mark on the world and had gone to college to encourage the goal. Kenton Swick went into teaching because the idea of helping to educate tomorrow’s leaders greatly appealed to him. He had chosen Art Education as a course of study because art was his first love … he day-dreamed about himself contributing to the rise of a modern day Picasso or a new Rembrandt! He recalled his anxious student-teaching experiences and how the patient students had been so cooperative and understanding about his inexperience. What an adventure it had been! The quest had begun with high school and ended with a bachelor’s degree in education, a master’s degree in fine arts, and a hard-earned teaching license. Thinking about the actions that brought him to this apple in his hand, he understood that it was a testament to his success in the classroom. The one gesture boosted his confidence in his ability to inspire students and also heightened his belief in the goodness of young people. Mr. Swick sat the apple on the desk and turned to his lesson planning … he was giving an art history quiz next period and needed to revise a couple of the questions. Life was good … teaching was good.